The Basin Plan sets sustainable diversion limits (SDLs), which is how much water can be taken from the Murray–Darling Basin's rivers. This limit ensures there is enough water remaining in the environment to keep the river system and groundwater resources healthy. The MDBA has the responsibility to monitor Basin state compliance with the sustainable diversion limit, once water resource plans have been accredited. In doing so, the MDBA must establish, maintain and publish a register of the amount of water taken each year in each SDL resource unit (region) across the Basin. The enforcement of SDLs commences in 2019. Given water use varies considerably in dry and wet years, the compliance framework will focus on trends over time, as well as any individual water year. If water use is over the limit, we will investigate and request that Basin state governments investigate further and provide more information under ‘reasonable excuse’ provisions. Reasonable excuse provisions include the operation of the water resource plans, or circumstances outside of a Basin state’s control. Local plans may change as a result, so that the limits can be consistently met in the future. We will also be monitoring trends in ‘growth-in-use’, which is when water use grows over a period of time. If this growth is consistent and causes the limit to be exceeded allocations may need to be adjusted in the future to meet the sustainable diversion limit. 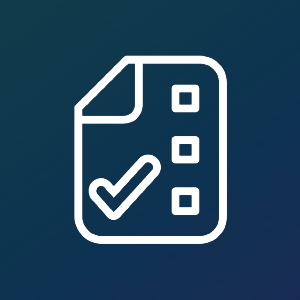 The SDL Reporting and Compliance Framework - Summary provides an overview of the MDBA’s approach to SDL compliance, which is set out in detail in the SDL Reporting and Compliance Framework. The SDL Reporting and Compliance Framework details the Murray−Darling Basin Authority’s (MDBA's) approach to reporting and assessing Basin state compliance with the sustainable diversion limits (SDLs). This document summarises what we heard as a result of stakeholder webinars held by the MDBA on the draft SDL Reporting and Compliance Framework in August 2018. The webinars aimed to provide interested stakeholders with information about the draft framework and an opportunity to ask questions and provide feedback.